An articulated, working marketing plan is a sign of an organized business and provides a roadmap for a new owner to follow. A marketing plan that is tailored to reach a defined target audience instills confidence that growth can be achieved in an effective, predictable manner under new ownership. In other words, by increasing the probability that the business will continue to perform and grow into the future, the risks associated with acquiring the business are significantly reduced in the eyes of prospective buyers. Less risk means a better value. 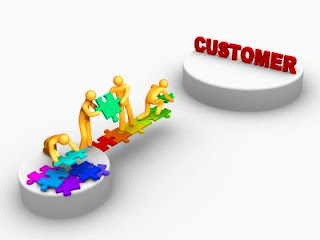 Therefore, the efficiency with which you attract customers will increase the purchase price paid for your business. Understand the Return On Investment (ROI) of specific marketing efforts. This is a powerful tool to achieve growth and conquer competitors. ROI Marketing is particularly powerful for small and midsized businesses that can't afford to waste money. It can increase your business "Moat." What is your marketing / advertising Return on Investment (ROI) per campaign. Where can you get the biggest bang for your buck (print, TV, radio, email, newsletters, webinars, seminars, tradeshows, on-line)? Document your sales process and its effectiveness. Know the marketing methodologies of your competitors. Focus on Human Capital – people are such a crucial aspect of selling and marketing. A solid sales team and a documented hiring and training system will solidify the ongoing performance of existing and future sales staff. A trained sales team is a tool that a buyer can count on to help in transition and to ultimately increase sales in the future. Keep marketing performance reports available for analysis. Can management measure and evaluate marketing efforts to verify their contributions to the bottom line? Marketing strategies are key to increasing profits and honing margins. Maintain a marketing calendar - keeps track of budgeting and staffing needs for promotions and events. It crystallizes focus on the value in each campaign, builds consistency, and aids in preventing marketing lapses that cause the "feast and famine" effect that many businesses experience. Estimate your target acquisition cost per customer. Understand the marketing budget necessary to achieve goals. Which tactics will best realize these goals? Monitor Marketing-to-Sales ratio to make sure it is in line with industry norms. Many companies spend too much on advertising without knowing how effective it is, and many advertising dollars are wasted.